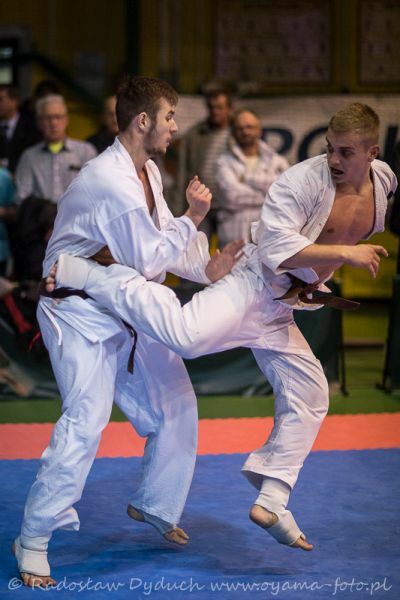 Saturday morning was reserved for the tournament in light contact conducted on three tatami. Younger Juniors (12-14 y.o.) 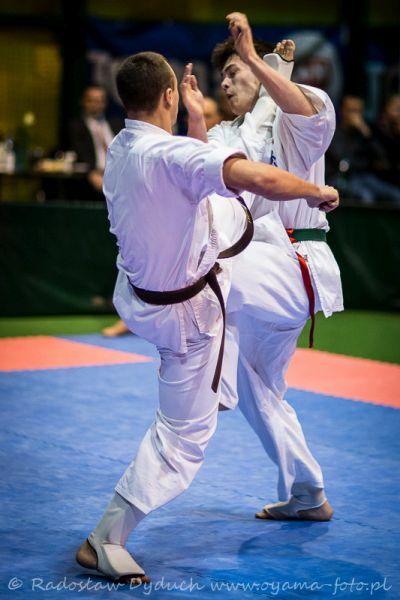 competed for the first time with low kick permitted. Fights were ferocious and heated up the spectators. 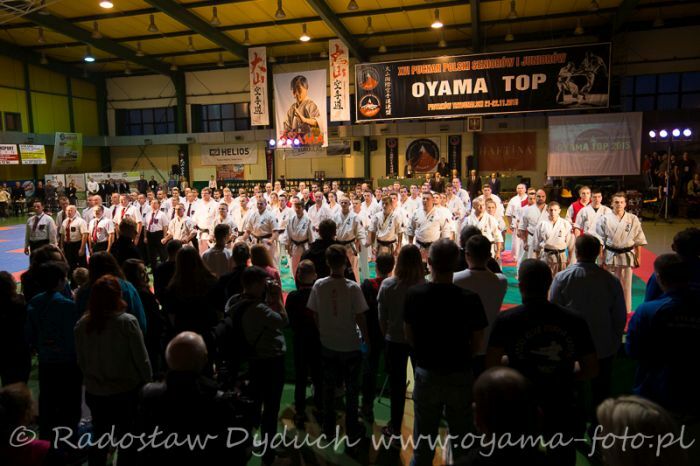 The tournament conducted in the most prestigious knockdown category was as always on a very high level. 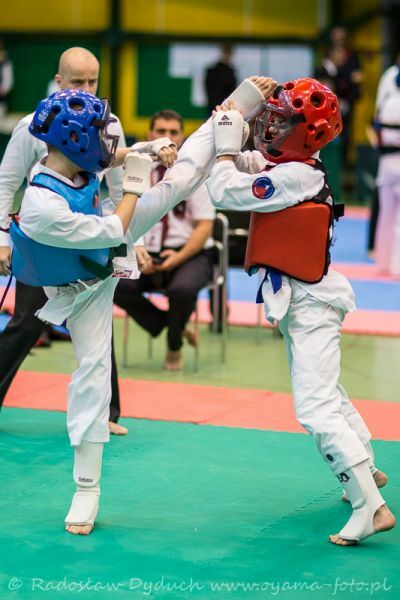 In case of the male division separating the U22 group from the rest of the Seniors resulted in some good fights among the developing fighters under 22 y.o. 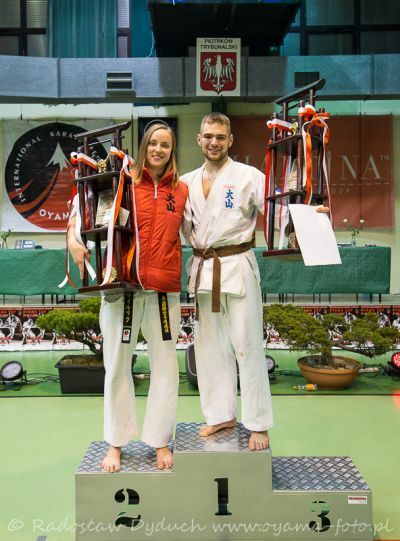 The trophies for the best Senior Female and Male fighters went to Justyna Cyrulik (Krakow Oyama) and Michal Orzechowski (Piotrkow Trybunalski). The second day focused on the Semi-knockdown category. 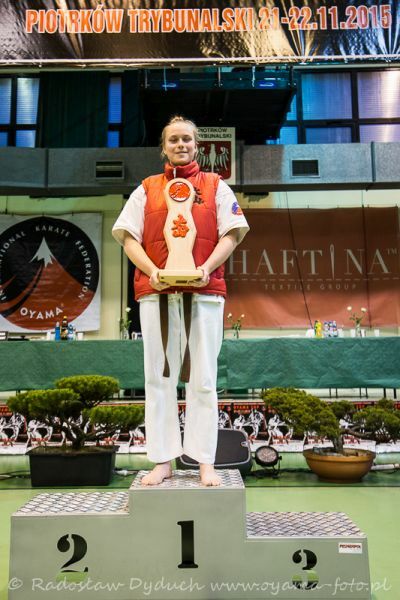 The trophies for the best Junior Female went to Julia Gibek (Krakow Oyama) and best Junior Male to Tomasz Kusak (Warsaw). 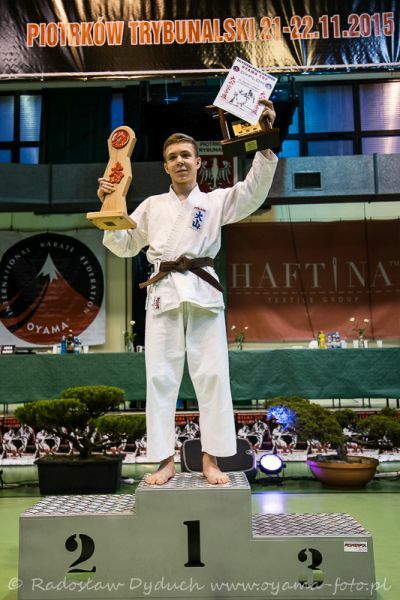 Hanshi Jan Dyduch, besides the trophies stylized on the traditional Japanese gates (Tori) handed additionally cash prizes for the winners of male and female Senior divisions.